Choosing which program to buy to run your medical practice has never been easy. Earlier , it was because there were very few programs available. Today, ironically, it is because there are too many ! Doctors are very confused as to which program they should buy – sometimes, too much choice can be as bad as too little ! Doctors have some special character traits which software producers need to be aware of ! 1. To be able to treat a patient and be confident that your decision is right requires tremendous self confidence, which means doctors often have a big ego. Many take the approach that they are always right - even in a field like computer technology ! c. Doctors are pressed for time, and hence their decisions are based on the fact that “anything that does not gel with me is going to hamper me”. Rather than try to improve their workflow with the help of computers, they’d rather stick to their old dysfunctional habits, even if this hampers their efficiency. Doctors who wish to enhance their practice and provide better care and service to their patients by using technology are on the right track. Unfortunately, they don’t always go about it the right way. Some of the important mistakes doctors make are highlighted below. Some doctors want their software to do everything for them - even pay their taxes (Just joking ! ). Sometimes putting too many things in your software tends to delay its deployment and make it too complicated to use . Often, some doctors will end up not buying any program at all, because it does not have everything which they want – which means they deprive themselves of a great opportunity of improving their efficiency in 80% of their practice. For example , some doctors want the entire drug database of 15000 drugs in their software! Now you know you will never use even 1/100th of these. There are enough online resources to give you these details when you do require this esoteric information. Why load this redundant data in your software and make it slow by cramming it with stuff you will never use ? It’s much more sensible to have a small efficient intelligent drug database which you can grow over time. That’s what we recommend at Plus91. Stick to the basics - your aim is to improve your practice - not to solve the world healthcare crises. It’s a simple fact of life that investment reaps rich rewards. Why haggle over a few rupees and try to find the cheapest option ? Negotiating is great, but choosing quality, support and peace of mind is far more important than trying a save a few bucks. Sad to say , this mentality is very prevalent amongst Indian doctors . It’s easy to get a local company to make a simple, unsupported database for you to manage your patient’s addresses. However, in the long run it makes more sense to invest a little more in good software – preferably from a company which is completely focused on the healthcare space. Medical practice is a complex domain , and an software engineer who doesn’t spend time understanding this cannot make a good product. This is why the early successful packages were created by doctors because they did have the right idea. However, they did not have the savvy to remain uptodate with the latest technology. Please stop acting like a bania in choosing a package. Every doctor I know earns enough to invest in a good package which will enhance his practice. Choose your vendor carefully – after all, you want them to be your partners for life, and for this, they need to make enough profit J. A lot of doctors tend to put too much trust in what their software vendor is doing for them. They feel he is the computer expert, and know what he is doing ! If a custom built package is being made, unless you provide the vendor with adequate knowledge on your processes, templates , wants and need, the program will never do what you want it to. Garbage In, Garbage Out. I know doctors who just give a brief outline of what they want and leave it at that. Now the vendor is left scratching his head because he does not really understand what is required of him . He muddles through – but what he produces is not what the doctor wanted, which means a lot of time, money and energy is wasted – and the cycle needs to be repeated again. If you want a custom built solution, you need to be very closely involved. You cannot delegate this. You need to provide all the information required personally. More importantly , you need to review and ask for updates from time to time. Often, the project gets needlessly delayed because the doctor realizes that this was not what he wanted only after the complete package is delivered to him. Your primary aim is to improve your productivity, and you should always keep this in mind ! Anything else should come later. For example, we have clients who request Tally integration in their software. Now, this is a great idea and Plus91 is working on it and is confident about delivering it. But delaying an order or cancelling an order based on just this one feature is unjustified. Nice to have is not the same as “essential” – and adding too many features just results in “bloatware”. It is a mistake to want your software to do too many things right from the start. Get what is essential , and build from there. Doctors often keep on waiting for something better to come along. Unless you don’t jump in the water, you aren’t going to learn how to swim ! Some of the best run private hospitals have been early adopters of technology. Today they might still be using legacy systems , but they are much better run than non IT friendly setups. It’s true that software will evolve over time, but you cannot wait for perfection. At Plus91, we evolve and add cool new features daily – after all, software is always a work in progress, which gets improved and polished incrementally. However, just because you want a Mercedes does not mean you should continue driving a cycle to work ! It is a mistake to wait when you can always upgrade if you want to later on ! Many good doctors buy the perfect software and then find that it does not help them manage their practice at all . Often they blame the software for being unfriendly or useless . Most doctors fail to understand that their staff is one of the key stake holders in this process. Unless the staff uses the software, it is bound to fail. The software may be the best in the world, but if it is not used properly , it isn’t living upto its potential. Doctors need to be firm and to share their vision for the software with their staff. It is a mistake to assume that software will be easily adopted by support staff, nurses and fellow doctors. Provide lots of training – and if some members refuse to use this, you need to take them to task. Today Indian healthcare IT is a nascent stage. The biggest stake holders in this industry are the doctors. It is important for them to nurture innovation. Sometimes it is valuable to take a risk or allow a software company to go that extra mile in providing a feature which will change the process flow of your clinic. Doctors who refuse to try out products which provide extra features or new age ideas because they do not understand its utility are closing the door on innovation. A doctor who asks me to block some modules to save money because he feels he will not use them is basically closing his own mind to the potential of using new processes to improve his practise . Do not buy the module in the beginning, but keep an open mind. Even when doctors do not ask for the SMS or Email Plug-in , we still leave it on the User Interface, because just seeing that button there will make them wish it was active when they want to send out a report or reading instantly. Once they see the value, they can always buy the module later on. Running a clinic is like running a small business. It’s a complex enterprise, and often doctors overerestimate their ability to do a good job. Ideally, you should be focused on taking care of your patients, so your staff can run the clinic. If you find you are spending time on routine administrative tasks, this means you are wasting your time and money. There are only 24 hours is your day – learn to use them sensibly. A good software program will help you to improve your productivity and that of your staff, if you use it to its fullest extent. An integrated program will allow you to do all the tasks needed to ensure your clinic runs smoothly - manage appointments, accounts, inventory, medical records and referrals. Don’t get stuck buying a cheap program which was designed for a small shop – you will end up being unhappy and dissatisfied. The single biggest mistake a doctor makes in buying software is when he delays his decisions – whether it is thinking about his needs; talking to the vendor; spelling out his requirement; installing the program ; or getting training for his staff. As a result, the vendor is frustrated; the doctor is confused ; the staff is anxious ; and patients continue to remain unhappy. Start small – but start today ! Hardware always complements your software. As much as the software vendor may try to make his solution lithe (for example, Plus91 products can run on any Windows and Unix system, and even an AMD netbook processor) , if you want the best results, invest in good hardware. Do not be afraid to upgrade your hardware to help enhance the productivity of your medical software – PCs have become very inexpensive these days ! 11. Not providing enough time for training. While doctors understand that learning a new medical procedure can take time, unfortunately, they are not willing to invest the same time in training their staff – and themselves – in learning how to use the softare properly. This can cause a lot of frustration and when this happens, many doctors just give up on the idea of using any software at all, because they feel their staff is too stupid. Good companies like Plus91 provide lots of training – and all this is free online ! As a doctor, you routinely have to capture a large amount of information about your patient in order to provide good medical care and to collect your fees . Medicine is a pen and paper intensive domain, where clinical history, examination findings, lab reports, scans, appointments , messages and bills - all happen on paper. Managing paper is always hard to do – and IT can help you to do so more efficiently ! What is the downside to all this paper work? After all, you’ve been doing it for donkey’s years and are happy with this , so why bother to change ? Have you ever lost your temper because your patient has lost his medical records, and does not know what medications he is taking ? 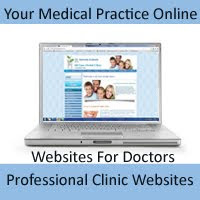 Are you fed up of having to write the same prescription again and again ? Aren’t you impressed by other doctors who give their patients crisp, professional word-processed medical summary sheets ? How are you going to compete with corporate hospitals who can access their patient’s medical records at the click of a button ? The good news is that the same technology is now easily and inexpensively available for you to use in your own clinic ! IT can help you improve your documentation and storage ; and actually increase your productivity and efficiency, by allowing you easy access instantly to all your patient’s medical records, no matter where you are ! Here are the top 10 reasons why you should use a computer in your practice ! 1. Impress your patients by having all their information available at your finger tips. Your patient expects you to remember exactly what medicines you prescribed and what surgery you did when she comes to see you, no matter how busy you are. Unfortunately, many of us cannot even remember the patient’s name, forget about the medical details ! Having an EMR with the patient’s photo and clinical details means you are well-prepared to talk to your patient ! If you cannot do so because you cannot find the patient’s medical record, you are going to lose the patient’s confidence – and the patient as well ! If you store all this information on the PC, you can find it immediately, and this helps immensely in creating lifelong patient loyalty ! 2. Impress your colleages and consultants : Communication is becoming the cornerstone of society today . Once you have all your patient records stored digitally, you can share them with your colleagues. The referring doctor or consultant will be very impressed when he gets an SMS and an email automatically from you, when you see his patient ! This will help you stand out from the rest of the crowd ! 3. Save time: You can retrieve stored data much faster on your PC then from a filing cabinet. Why waste time and money hunting for records, when you can instantly find what you need on your PC ! 4. Save on storage space. Real estate costs money while digital space is cheap ! You can store thousands of medical records on a hard disk – and as your practice grows, you need to think about the future. 5. Reduce chaos: A large clinic is often drowning in paper – and it’s very frustrating when you cannot find the record you need. With an electronic medical record, there’s no clutter – and much more work gets done efficiently when time is not being wasted in finding lab reports and scans. 6. Increase productivity: A faster records access, storage and retrieval system gives you and your staff more time. It increases efficiency , allowing you to spend more time with your patients. As patients are wowed by how efficient you can access their medical history, they will refer even more patients to you ! 7. Improve your clinical skills and practice evidence based medicine: Even though Indian doctors are very busy, our research output is pathetic, because we do not bother to keep medical records properly. Documentation is poor, and most of a senior doctor’s wisdom is primarily anecdotal, since it is not based on a stringent analysis of stored clinical data. For example, most orthopedic surgeons don’t even know the exact number of hip replacements they have done ; or which type of artificial hip works best in their hands. They cannot analyse their complication rate reliably, and depend primarily on their selective clinical memory, which is often deeply flawed ! Digital information allows you to do much more with the patient data you have. You can easily analyse your clinical data and produce informative research reports based on your years of clinical experience. Analysing paper records is a painful chore. Why work so hard when your PC can do the work for you in seconds ? 8. Look cool: A computerized clinic which runs state of the art software creates a lot of confidence in your patients. They will be much more faithful to you, because they know you are well-organised , effective and efficient ! 9.Improve your business processes by automating administrative tasks. Because all the data is stored electronically, it’s much easier for you to fill in all the forms and papers everyone else needs – your CA; the IT officer; the TPAs and insurance companies ! 10. Empowering patients. Because you now have a state of the art digital office, you can communicate electronically with your patients. You can send them alerts and reminders through SMSes and emails – and this can create a Wow ! experience which will help you to leap ahead of the competition. Software Features Most Appreciated by Doctors! Plus91 is a team of very innovative people. Since the last 3 years we have tried to include, in most cases successfully and in some cases still trying to introduce game changing features into our softwares. 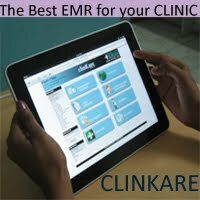 These software products are specifically targeted at doctors and hospitals in the Indian Market. We have tried to keep a realistic outlook towards usability and need in developing these features, though some are for the pure thrill of it. Below I have listed some of the features we offer that are really being appreciated by the Doctors. 1. SMS and Email integration - Simple, yet effective in communicating with patients and doctors alike. Today India communicates on the Mobile so why not the doctors. 2. Data Protection - Online back up to save data and download it any time in case of a crash or back your entire PC onto a device provided by us. Keeping the data safe has always been a priority for doctors and hospitals, now you can. 4. Online EMR - Offering doctors the expertise to offer patients their records online for easy access, especially patients from far away or constantly traveling. Takers for this are few and far, but those who understand the implications of this, really appreciate the scope of the progress that is being made. 5. Online Support and Updates - Now no more waiting for help to arrive is how I best pitch this service. But trust me, one actual live use of this service and the doctor is sold on it for life. 6. Structured Reporting - For every specialty in medicine we support, we appreciate that the potential outcomes are numerous. That these outcomes can be displayed in a structured way to quickly select, display and publish reports to make this a mundane and quick task is a vital feature in our PMS. Doctors increasingly appreciate this intelligence structure to help them quickly select report templates and publish reports. 7. Referrals - Referral management module has been a boon to those doctors which keep track of who is sending them how many patients and any monetary implications of the same. 8. Exporting Data - Export to Excel feature is very well appreciated by Doctors as it helps them to send data to CAs and other external sources without any headache. Soon to come, export to Tally. 9. Auto-Complete and Auto-Add Drop downs - A simple technical mechanism to help manage drop downs better. Increases data entry speed and also makes the software User Friendly. Doctors immediately recognize this and appreciate the capability. 10. Adding attachments - Scan or capture and attach videos, images and documents to the patient record. This feature proves worthwhile for a myriad of reasons. Doctors are happy to be able to be flexible in their approach and attach everything in a single location.